Another great visual from The Visual Communication Guy! 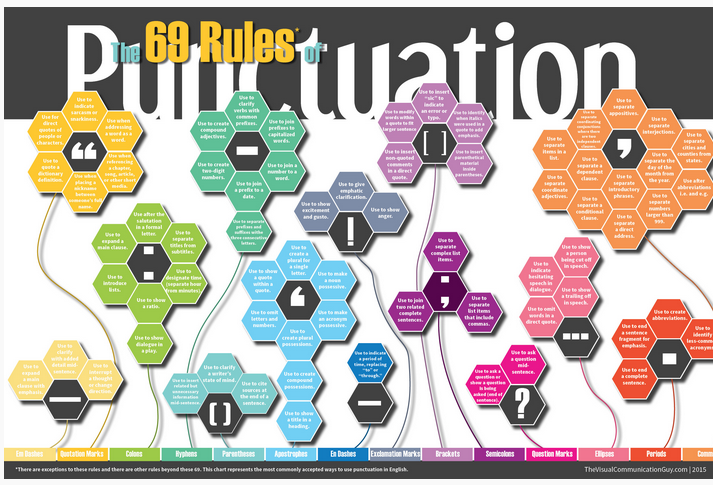 Click on the image to view The 69 Rules of Punctuation. This poster and more educational infographics can be purchased in The Visual Communication Guy’s online store. Asynchronous and Synchronous – What’s the Difference?